Sapphire's 4890 here is a plain old red-heatsinked Radeon HD4890. Based on the RV790XT core, it's little more than an overclocked and slightly tweaked version of the RV770XT that powers the HD4870. As expected, then, benchmarks are better than that family of cards, even the Toxic edition opposite, but not an order of magnitude greater. Certainly never more than 10 per cent, even at the most demanding settings. It also has the same problems in terms of noise, power consumption and heat that the stock HD4870s suffer from too. It's not that it's the loudest card we've ever tested, but we'd be more comfortable with something quieter. 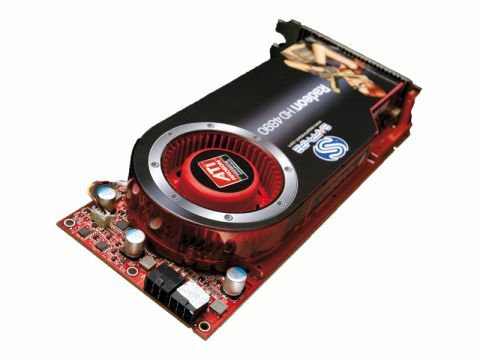 When it was launched, the HD4890 filled a gap in AMD's arsenal between the HD4870 and Nvidia's top end cards – then very expensive. Things have changed, though. On the one hand manufacturers are creating bespoke versions of the older card – again, like the Toxic – which are almost as fast as this one, and the price of Nvidia's awesome GTX275 is within just a few pounds. Which means that while this is still an excellent card in most respects, which you should be proud to own if you do, it's just not a compelling purchase any more.